For a product with as benign a name as "soft drink,” the bitter election year battle over whether to place an added tax on sugary beverages has whipped up a torrent of last-minute campaigning in three Bay Area cities. 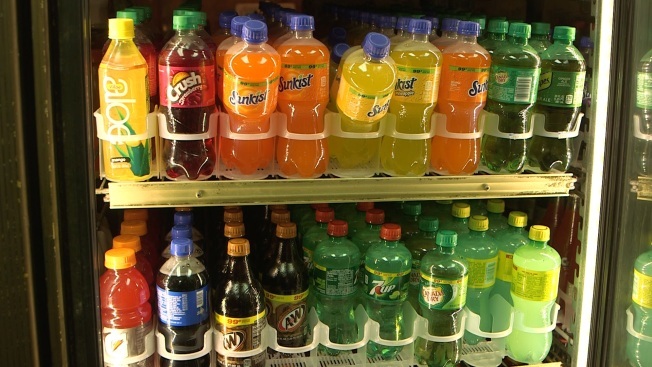 The East Bay cities of Albany and Oakland as well as San Francisco have soda tax ballot measures on the election year menu.The measure appears as Measure O1 in Albany, Measure HH in Oakland and Prop V in San Francisco. The measures have generated plenty of big spending. The soda industry has spent an estimated $19 million alone in San Francisco trying to defeat Prop V, which would impose a once-cent-per-ounce tax on sugary beverages. Former New York Mayor Michael Bloomberg has spent nearly $5 million on behalf of soda tax measures in San Francisco and Oakland — in what supporters say is an effort aimed at reducing cases of childhood obesity and diabetes rates. “One in two children, particularly African-American and Latino will contract type 2 diabetes,” said San Francisco Supervisor Malia Cohen who authored Prop V.
As election day draws closer, fliers on both sides of the issue filled voter mailboxes as ads have popped up all over social media. Volunteers campaigning for Prop V fanned out through San Francisco neighborhoods in recent weeks, taking their fight door-to-door. On a recent Saturday, Harrison canvassed San Francisco’s Lower Haight, coming face-to-face with the divided nature of the measure. Many of the people he visited had seen the opposition ads painting Prop V as a grocery tax. “Soda tax is, they’re basically passing it to the consumer,” said one resident who planned to vote against Prop V.
In another doorway, Harrison spoke to a woman who had been opposed to the measure. 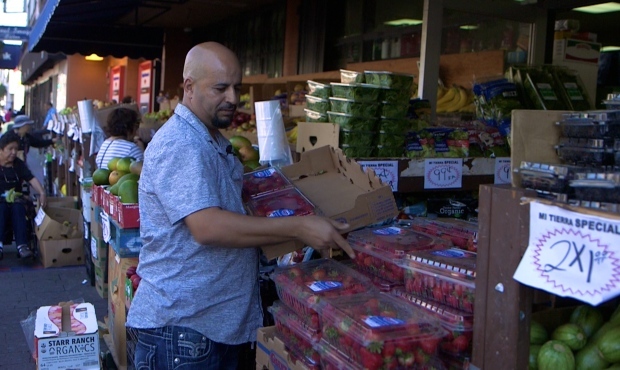 In San Francisco’s Mission District, Adel Alghazali, the owner of Mi Tierra Market has voiced his opposition to Prop V, fearing it would hurt his business and his customers. Alghazali has appeared in No On Prop V television commercials and mailers speaking out against the tax. Funds generated by the San Francisco soda tax would go into the city’s general fund and create a new soda tax committee to advise the city on how to spend the funds. Joe Arellano, a spokesman for the No on Prop V campaign said the measure was poorly thought out. Two years ago, the city of Berkeley passed the nation’s first soda tax measure. Cohen said the program has set an example of how the program can work. The tax would also include soft drinks like sports drinks and some fruit juices which add sugar. Diet sodas would be exempt. Linder made his way past a row of houses, knocking on doors, ringing doorbells and speaking into intercoms. With election day bearing down, time was running thin for his message. “Every 'yes' is a win,” he said, heading to the next house.